UPDATE III: SavingCountryMusic reports that Coordinator of Elections Mark Goins told them Swift is registered to vote under a name other than Taylor Swift: "'I can absolutely confirm that she’s registered,' Coordinator of Elections Mark Goins of the Tennessee Division of Elections in Nashville told Saving Country Music Friday afternoon (10-12). Mark Goins reports directly to the Tennessee Secretary of State, Tre Hargett. 'I can understand why someone would not necessarily think she is registered. I know she was very sensitive about how her name was on the voter registration. If they had reached out to us we would have told them the truth. It's not under Taylor Swift, but she is registered.' "
UPDATE II: It appears it may have just been an issue with the search form. A commenter found out that if you put only "T" in the first name field and "Swift" in the last it will take you to a page showing a "T A Swift" is in their database and it asks you for the last four digits of your social security number to continue. 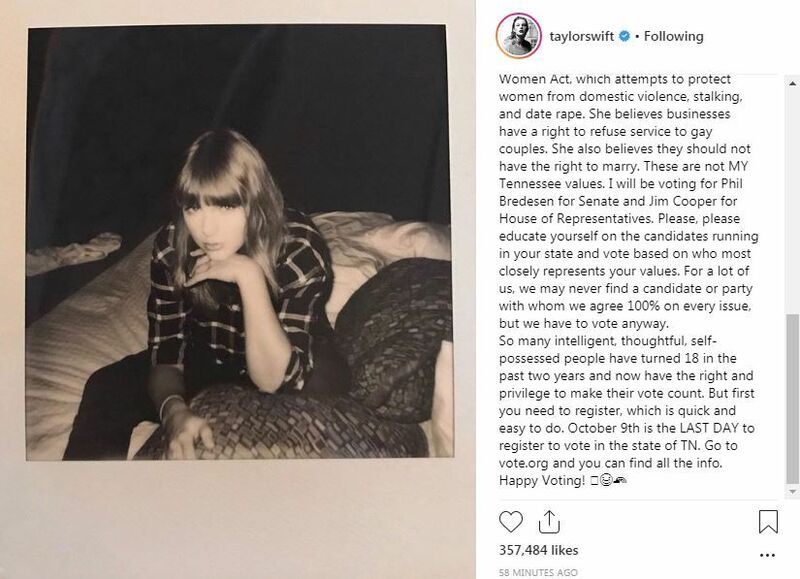 A search of the Tennessee Secretary of State's official voter registration database suggests that Taylor Swift may not be registered to vote in the state of Tennessee. Swift was praised by the media earlier this week for harshly attacking Republican Senate candidate Marsha Blackburn and endorsing her opponent Democrat Phil Bredesen. She told her supporters "we have to vote" even if we don't 100% agree with our preferred candidates on every issue. Swift reportedly owns two homes in Nashville, Tennessee, both of which are in Davidson County. She also has several other residences in New York, Beverly Hills and Rhode Island. 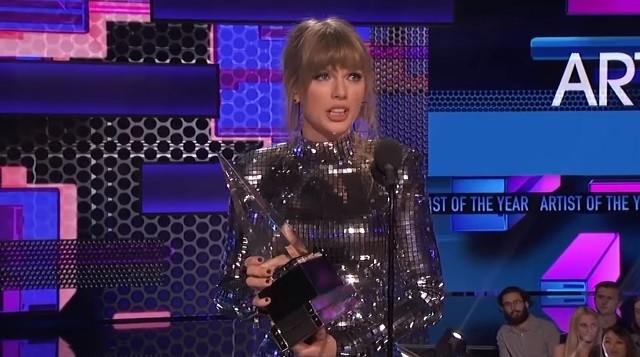 If you put the name Taylor Swift with the county of residence as Davidson and year of birth as 1989 (Taylor Alison Swift was born on December 13, 1989), the state government's website says: "No record was found. Please verify the information below and search again. If your information cannot be found, please contact your local county election commission to verify the accuracy of the information on file." Replacing "Taylor" with the misspelled "Tayler" also came up empty. It's not clear what state Swift claims as her residence, but she specifically said on October 8th on Instagram, "I will be voting for Phil Bredesen for Senate and Jim Cooper for House of Representatives." The website claims that their voter registration data is "current as of October 10th, 2018." The last day to register to vote in Tennessee was October 9th. If Swift is intending to vote as she claimed, she may want to contact her local county election commission. UPDATE: A reader says a local radio station in Nashville found yesterday that Swift was registered to vote as "TA Swift." Though searching the database for first name "TA," "T A" and "T.A." did not bring anything up, it's possible there's just an issue with their search form.